Who we are (IMwalleT) ? Business Scope with IMwalleT ? 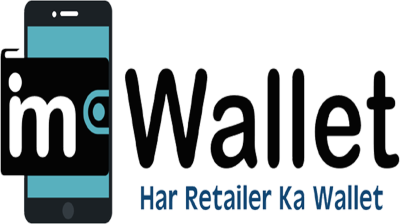 IMwalleT provide business to retailer & distributor channel partner to earn highest commission from it. Retailer - A Point of Sales or Retail Outlet where end customer can Recharge, Pay Bills, Transfer Money etc. Towards each transaction retailer get commission out of it. Commission is based on Operator/Company/Distributor terms & condition. It can be change with or without any prior notice. Distributor - Distributors are the manage & supply services & wallet balance to their respective retail Outlets under their belt. Distributor will get direct commission from company towards each wallet load. What is the Payment option ? You can make payment via IMPS/NEFT/RTGS/Cheque Deposit in below mentioned account number. Please do not deposit direct or CDM Cash deposit to our accounts as we cannot accept cash deposit. What is #NoBilling Day ? The day when payment or fund will not update from accounts. It is happened in long holidays, 2nd Saturday & Sunday, 4th Saturday & Sunday. How to Start with you..? Just Register on our website or contact us our executive will help you to create an account for you. Within a hours you can start your business with us. What are services that you are Providing..? We Provides Retailership, Distributorship, API, WhiteLabel and Master Whitelabel for Recharge, BBPS (Bharath bill Payment),Money Transfer, Flight Booking and much more.